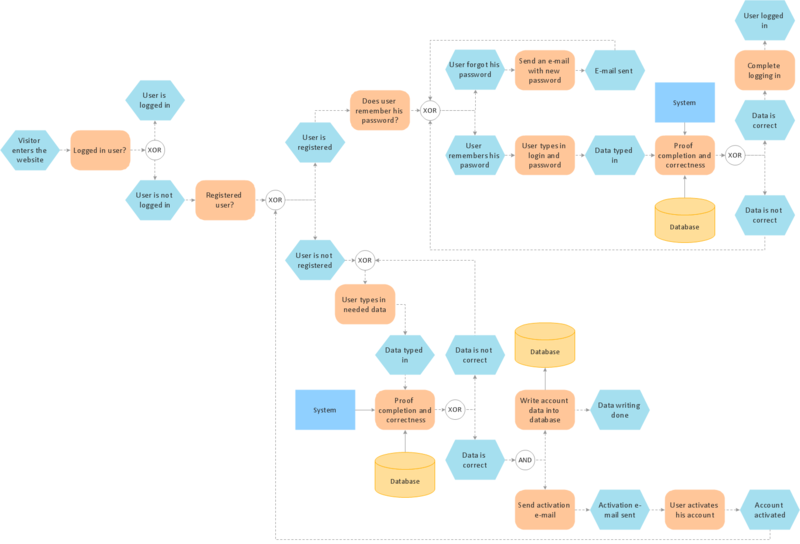 The Event-driven Process Chain (EPC) allows managers visually present business process models for making decisions for business processes improvement. The EPC is able to cope with extremely diverse and complex businesses processes. ConceptDraw DIAGRAM is a software for making EPC diagrams that provide company performance. Pic.1 Login and registration processing - EPC diagram sample.